Barbequing is a culinary art form that tells the story of the relationship between humans and food. It began with the discovery of how to make fire and evolved to new heights when the invention of the wheel would eventually reward portable smokers and gas grills. The word itself likely stems from the Spanish "barbacoa," a term used to describe the traditional method of slow-roasting meat over smoldering wood used by the Taino Indians in the Caribbean. By the 19th century, outdoor grilling became wildly popular in the American South, largely because a tough cut of meat could be sauced and slow-cooked until it fell off the bone. Although barbeque cooking isn't original to the modern New World, we owe thanks for the four perfected and distinctly unique American barbeque styles and flavors to Kansas City, Memphis, North Carolina and Texas. Because humans are social creatures, we congregate around fires—including the grill, catching up on the latest gossip while sipping lemonade or tossing back a brew. Men, in particular, seem to enjoy this activity and pride themselves as grillin' and chillin' experts. But it wasn't always this way. As our distant cave-dwelling ancestors learned to pursue and eventually husband animals for food, men took on the task of hunting and the women cooked with fire. Sorry guys…this means that women were the first grill masters. How did "barbeque" become BBQ? Phonetic convenience aside, restaurateurs placed the acronym in big, bold letters on road signage because it was easy for drivers to spot while traveling at high speeds. 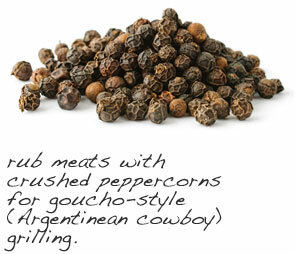 The best flavor and texture from grilled foods results from two methods of cooking—direct grilling and indirect grilling. Direct grilling involves placing the food directly on the grill grating so that the outer surface sears, creating a crispy crust. Indirect grilling uses a barrier such as foil or grill basket or a higher rack to allow even cooking at a lower temperature while retaining moisture. Grill boneless chicken breast directly on the grate for 6 to 7 minutes per side over medium heat. Bone-in chicken pieces need about 15 to 22 minutes per side directly on the grate over medium heat. A whole bird should be cooked over medium-low heat (250 - 350° F) for 15 to 20 minutes per pound with the lid closed. Chicken (and turkey) should be cooked to an internal temperature of 165° F.
Fish tends to lose moisture quickly and flake apart, falling into the coals in the process. Fillets should be cooked 5 minutes on each side for each inch in thickness. 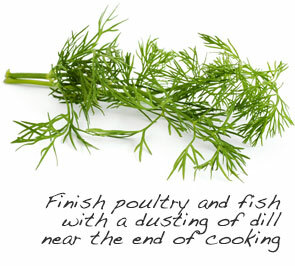 If cooking directly on the grill, brush fish with oil and raise the rack to 6 inches above coals or flame. Fish can also be wrapped in foil and cooked indirectly, which seals in flavor and moisture and prevents sticking. Fish should be cooked to an internal temperature of 145° F, or when flesh is completely opaque. Apples, pineapples, pears, coconut and other hard fruits are fine to grill directly on the grate. Soft fruits, like peaches and plums, should be placed on a layer of foil on the grate since they only need to be heated. 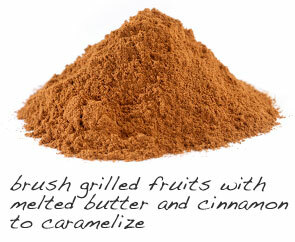 Brushing fruits with melted butter and cinnamon or brown sugar near the end of cooking enhances sweetness and produces a caramelized texture. Herbs like thyme, rosemary and mint are also interesting to sprinkle on grilled fruits. Caution: Fruits have a high water content and will be extremely hot coming off the grill, so let cool before serving. Cut vegetables like zucchini and yellow squash into equal-sized chunks to ensure even cooking. Very hard vegetables like butternut squash can be pre-cooked before grilling to decrease cooking time. Corn and potatoes can be grilled whole, directly on the grate, wrapped in foil (or in the husk, in the case of corn). If using wood skewers, soak in water for at least 30 minutes prior to grilling. For cedar planks, soak an hour or more to avoid cracking or burning. Leave the skins on fruits and vegetables so they hold their shape. Use a grill basket or foil packets for cut vegetables. Season vegetables with salt while cooking to draw out excess moisture. Brushing foods with melted butter or olive oil (or using non-stick cooking spray on the grate) will keep foods from sticking. 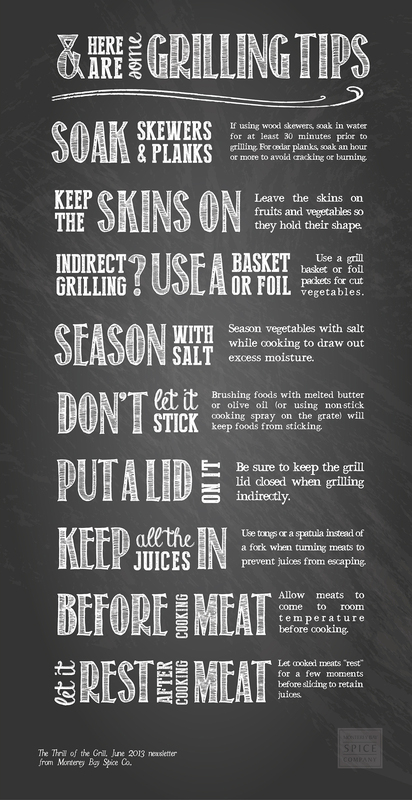 Keep the lid closed when grilling indirectly. Use tongs or a spatula instead of a fork when turning meats to prevent juices from escaping. Allow meats to come to room temperature before cooking. Let cooked meats “rest” for a few moments before slicing to retain juices. Connoisseurs generally don't consider tossing frozen hamburger patties or processed hot dogs on the hibachi as authentic barbeque. For that matter, certain parts of the country maintain that chicken in any form belongs in a stew pot or roasting pan and not on the grill. Then again, vegetarians and vegans have a completely different vision of the perfect grilled dinner. Whatever your preference, there's no reason to serve any main course or side that's bland. That said, grab your apron, fire up the "Barbie" and gather your favorite herbs and spices! or pin the graphics below.